Joshy Pyrotechnics is the leading retailer of firework crackers from Sivakasi. 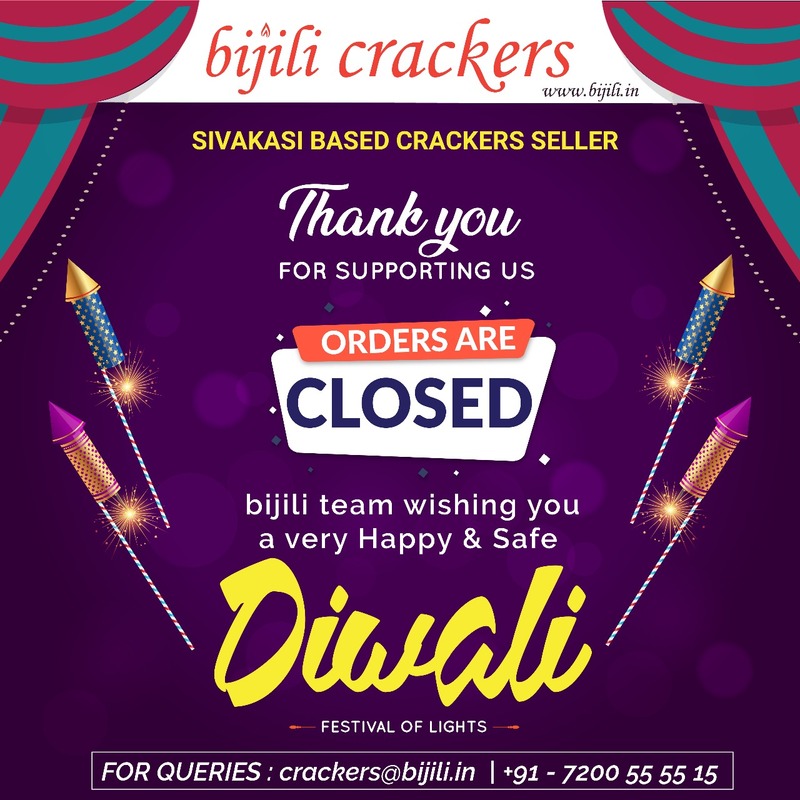 Buy Sivakasi Crackers Online at factory price from anywhere of Bangalore, Hyderabad, Chennai, Coimbatore and all over Tamil Nadu. Our flagship website www.bijili.in is the India's #1 Online Crackers Selling Platform to shop Diwali Crackers with wide range of Sparklers, Ground Chakkars, Flower Pots, Rockets, Aerial Shots, Atom Bombs, Gift Boxes, etc. Copyright @ 2019 Joshy Pyrotechnics Private Limited.All Rights Reserved.